Tommi Stockham had 17 kills, 14 digs and two aces as Bishop Gormans girls volleyball team held on for a 25-21, 25-10, 26-28, 26-24 win at Palo Verde on Wednesday night. 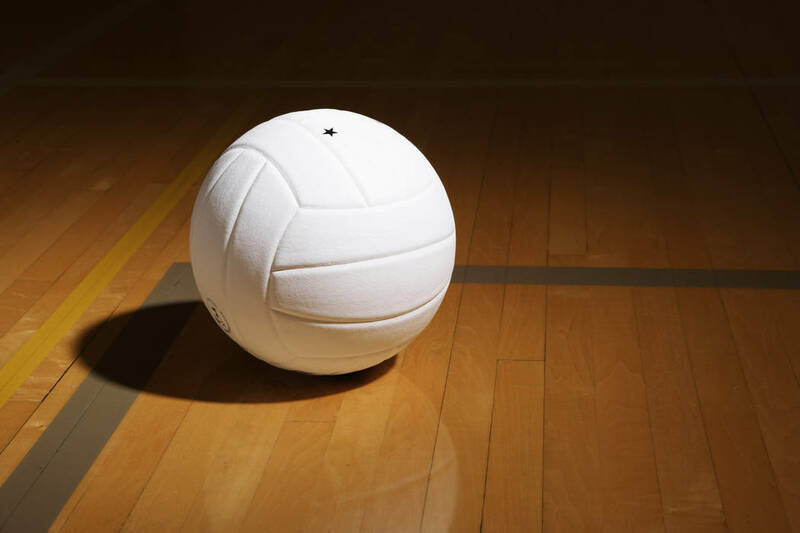 Tommi Stockham had 17 kills, 14 digs and two aces as Bishop Gorman’s girls volleyball team held on for a 25-21, 25-10, 26-28, 26-24 win at Palo Verde on Wednesday night. Kylie Gibson added 15 kills and four aces, and Sydney Lobato had 27 assists, five kills, four aces and three blocks for the Gaels. Arien Fafard led Palo Verde with six kills, 24 assists and nine digs. Carli Tanner added nine kills for the Panthers, and teammate Elizabeth Gutierrez had seven kills. Centennial 3, Cimarron-Memorial 0 — At Cimarron, Kimbree Saunders had 17 assists as the Bulldogs defeated the Spartans, 25-16, 25-16, 25-22. Elaina Young had 10 digs, and teammate Daphne Boyd supplied seven kills and five aces for Centennial, which got five kills apiece from Faith Torosian and Taylor Lindell. Destiny Garcia led Cimarron with 16 assists and seven digs. Natasha Obradovic had 11 kills, and Andrea Aldaco tallied eight digs for the Spartans. Coronado 3, Foothill 0 — At Coronado, Ashlynn Ammerman had 10 kills, two aces, four digs and three blocks as the Cougars defeated the Falcons, 25-19, 25-18, 25-15. Shannon Evans and McCallister Gayle each had eight kills, and Dallas Balanay-Flores added 23 assists and seven digs for Coronado. Whitley Brow led Foothill with five kills and eight digs, and teammate Savannah Lopez had three kills, nine digs and six blocks. Legacy 3, Desert Oasis 0 — At Legacy, Kamaile Mendonsa dished out 21 assists in the Longhorns’ 25-15, 25-12, 25-11 sweep of the Diamondbacks. Kiana Carter supplied 11 digs and seven kills, and Alyssa Fuller had 14 digs for Legacy, which got eight kills and seven digs from Myah Maxwell. Laityn Sarna had 11 assists and seven digs, and teammate Kierston-Joy Kuresa added five kills and five digs to pace Desert Oasis. Faith Lutheran 3, Bonanza 0 — At Bonanza, Mary Vancura had 18 assists and six aces in the Crusaders’ 25-12, 25-13, 25-11 sweep of the Bengals. Hailey Carroll had eight kills, and teammate Sydney Washington tallied seven kills for Faith Lutheran. Zhanna Colin had five kills, and Sydney Evelyn Harner had nine digs for Bonanza, which got 14 assists from Sydney Dunn. Sierra Vista 3, Arbor View 0 — At Sierra Vista, Shantelle Demirijian had 10 kills and five digs as the Mountain Lions defeated the Aggies, 26-24, 25-21, 26-24. Audrey Dayton added seven kills, four aces, four digs and three blocks for Sierra Vista. Zoey Kreithe had 14 assists and four digs, and Mackenzie Bowlen had 13 assists and four digs for the Mountain Lions. Shiloh Lively led Arbor View with eight kills. Alina Oranchak added seven kills, Bailey Olbur had six kills and two blocks, and Alyson Jeeves had 31 assists for the Aggies. Spring Valley 3, Clark 0 — At Clark, Vaden Mangler had six kills and four aces, and Cashmere Buford added 10 digs as the Grizzlies swept the Chargers, 25-15, 25-19, 25-14. Emma Lily Marple added eight assists for Spring Valley. Coraly Dupree led Clark with 15 digs, four kills and four blocks. Autumn Flowers had six digs and three kills and Briannah Paras supplied four digs for the Chargers. Moapa Valley 3, Somerset-Sky Pointe 0 — At Somerset-Sky Pointe, Eden Whitmore had 15 kills, 11 digs, and three aces, and Shelbi Walker notched 11 digs and 10 kills as the Pirates swept the Eagles, 25-8, 25-11, 25-11. Aria Messer had 26 assists and four aces, and Abbie Evans supplied eight kills and five aces for Moapa Valley. Emily Lemmon had eight digs and four kills, and Ellie Barrus and Tuvaelagi Mann each had nine digs for Somerset-Sky Pointe. Desert Pines 3, Western 0 — At Desert Pines, Brianna Fitzgerald had six kills and five blocks, and Arlyn Figueroa added seven blocks to lead the Jaguars to a 25-12, 25-9, 25-15 win over the Warriors. Michelle Rhodes had 16 digs, and Natalie Lechuga had four kills for Desert Pines. Camille Riggs and Andriana Jones led Western with four kills. Tech 3, Chaparral 1 — At Chaparral, Makenna Faught recorded 24 assists, six digs and four aces, and Cadie Espe had nine digs and eight kills as the Roadrunners turned back the Cowboys, 25-27, 25-20, 25-14, 25-10. Kayla Cook had 10 digs and five kills, and Fuatino Aima’asu supplied eight kills for Tech. Alyssa Porras notched 12 assists, eight kills and three aces, and Alexandria Williams put down six kills for Chaparral. Boulder City 3, Del Sol 0 — At Boulder City, Maggie Roe had 19 kills, eight assists and three blocks in the Eagles’ 25-5, 25-11, 25-14 win over the Dragons. Kamry Bailey added six kills and six aces for Boulder City. Pahranagat Valley 3, White Pine 1 — At Alamo, the Panthers downed the Bobcats, 25-19, 25-13, 17-25, 25-21. Rancho 3, Valley 0 — At Valley, the Rams defeated the Vikings.